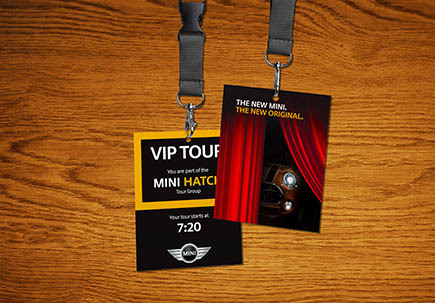 Eastern MINI wanted to launch the new MINI hatch with a special curtain raising event at their Edinburgh showroom. 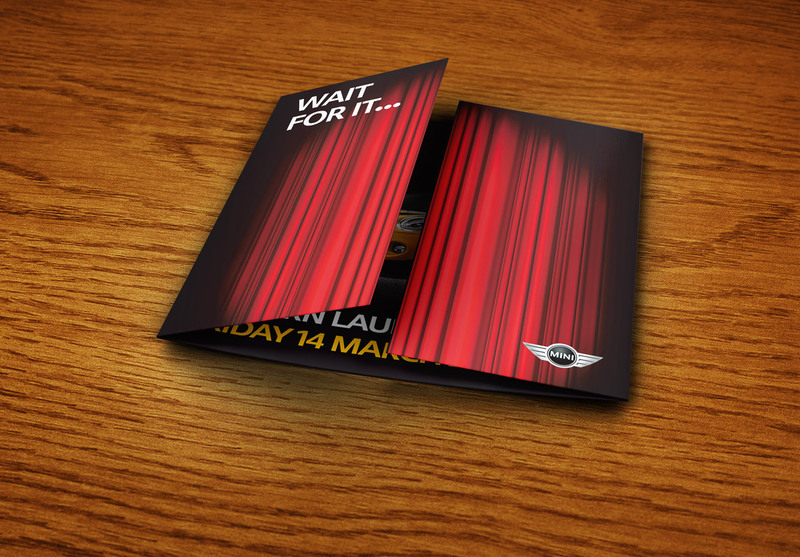 We were asked to produce a printed mailer to tempt potential and existing customers and invite them to preview the vehicle in person. 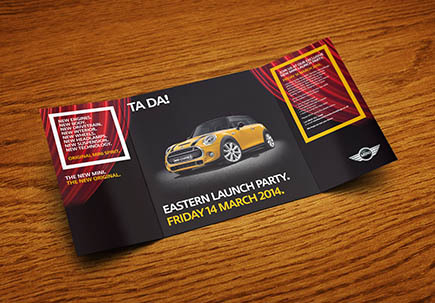 A gatefold invitation was produced to raise the curtain on the new MINI. An email campaign was also produced to compliment the direct mail piece and gently remind customers to book their slot at the event. 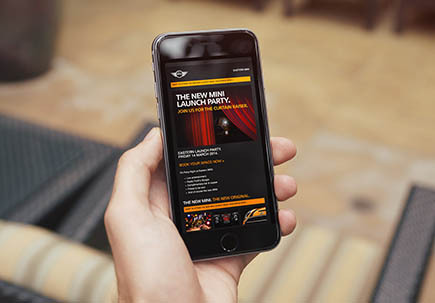 On the night of the event party goers were treated to food, drinks, live entertainment and special guided tours of the new MINI.